Bro. J.R. and Sis. Janelle serve the churches in Clear Creek Baptist Association. As each church carries out The Great Commission individually, and as they come together collectively to carry the Gospel of Jesus Christ around the world, Bro. J.R. and Sis. Janelle are there to assist and encourage as needed and called upon. Janelle has served as the Secretary/Treasurer/Clerk for Clear Creek Baptist Association since May of 2008. 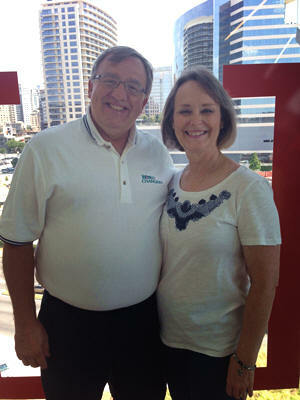 She and her husband, Jesse, have been married since 1981, and have lived in Ozark since 1993. The couple has been blessed with 4 children and 2 grandchildren. Janelle enjoys spending time with her family, and makes time to see the grandkids whenever possible. Janelle attended the University of Arkansas in Fayetteville where she received a BS degree in Business Administration with a major in Executive Secretarial Studies in 1980. 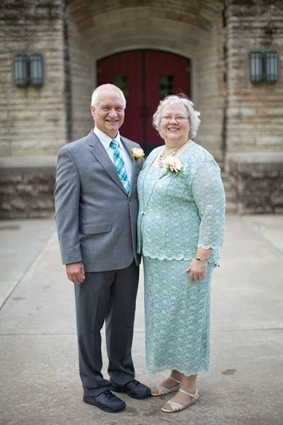 Upon graduation, she worked as Department Head Secretary in the U of A Chemical Engineering Department for 5 years until the couple moved to Missouri and began their family. Janelle was privileged to be a stay-at-home mom and homeschool their children through all 12 grades, and was very active in Franklin County 4-H with her children.